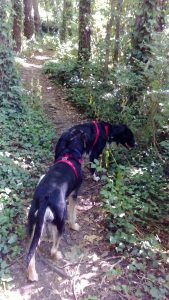 Weather is scorchio again so walked Baz and Bailey in the coolness of the woods along the West Somerset Coastal Path. 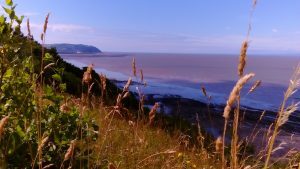 The views are amazing both over the coast towards Minehead and also inland towards Exmoor. What a lovely place to be on a day like today, so peaceful. Perfect.